Children of MRIS, Noida are very enthusiastically preparing for the final event of Kindergarten—‘The Art Gallery’, showcasing the beautiful art pieces of the little ones. Children are making different paintings and drawings for their Art Gallery. They were explained about the ancient tribal art—Warli Art. 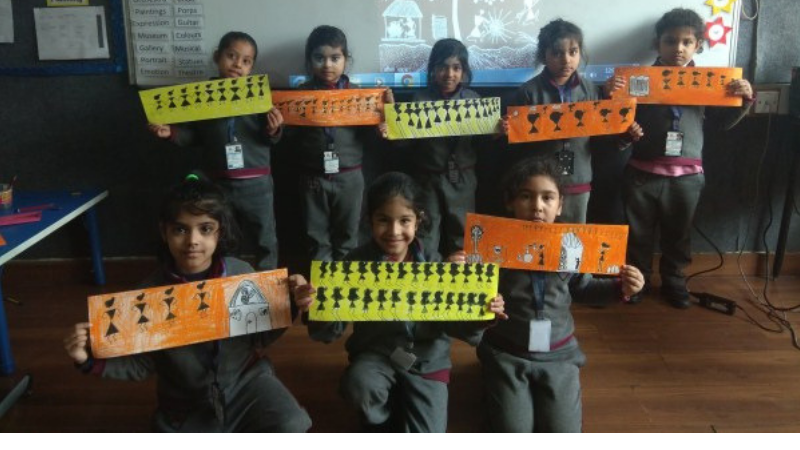 Children made beautiful Warli drawings in black and white and enjoyed the activity thoroughly.